In some days we are heading into Eid ul Fitr - a celebratory day for Muslims marking the end of Ramadan - the holy month of fasting. Growing up Eid was the day of new clothes, new jewellery, new shoes and everything a little girl would wish for. Delicious, gluttonious food flew left and right and at the end of it all you would sure feel like you can't eat for rest of the year. Our heavily embroidered Indian outfits where neatly folded and packed to open for the next coming Eid given they were impossible to wear on any other day. But Eid wasn't Eid until we were handed our Eidi - the gifts given to kids by relatives and friends. We sat enthusiastically in the hallway in anticipation of who would visit us, what gifts they would bring and who would end up collecting the most money (the most common form of Eidi). In last couple of years, we have kept our celebration quite low key but with Tasnim we plan to change that. I want her to feel that sense of excitement and perked up spirits around her. We have ticketed friends on what to gift her (okay, almost) and her shiny new Indian outfit awaits her as well. One of the things that I plan to put on our Eid menu is this corn halwa. It might be new to some but this is probably the halwa I have eaten the most! It's an absolute favourite of ours, dazzled up with the raspberry coulis. 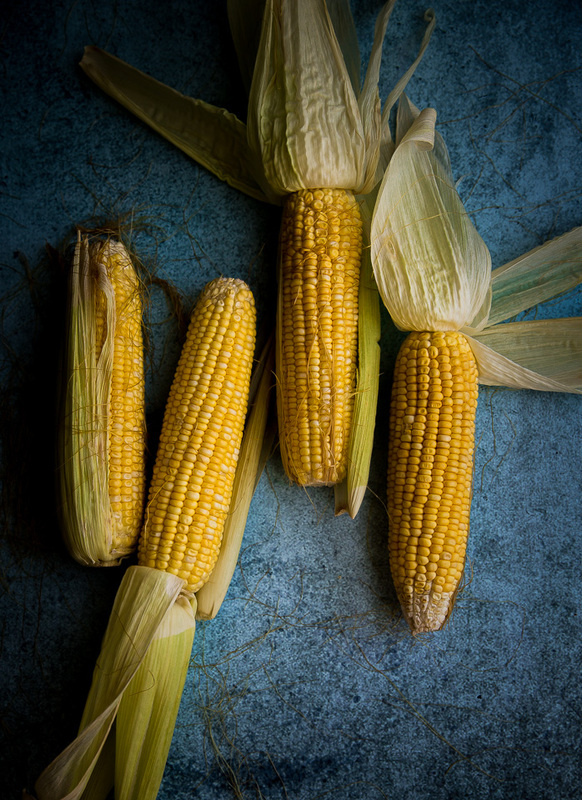 Cooked over a long period of time so that the sugars in the milk and corn slowly caramelises, it needs much less additional sugar than other halwas. The best part? The whole house is engulfed in sweet aromas of clove and cinnamon. 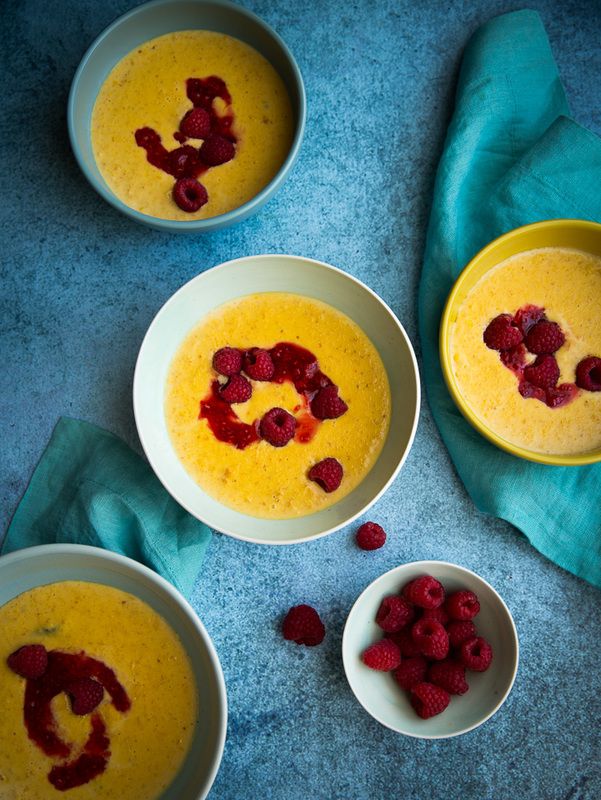 While this is clearly a dessert, there are savoury undertones from clove and corn making this an addictive pudding great for breakfast as well. On a box grater, grate the cobs. Keep aside. Heat ghee in a deep bottom heavy saucepan. The heavier your saucepan is, the less whisking you will have to do for the fear of milk and corn sticking to the bottom. Once the ghee is hot, add the cloves, cinnamon and, saffron and cracked cardamom pod. 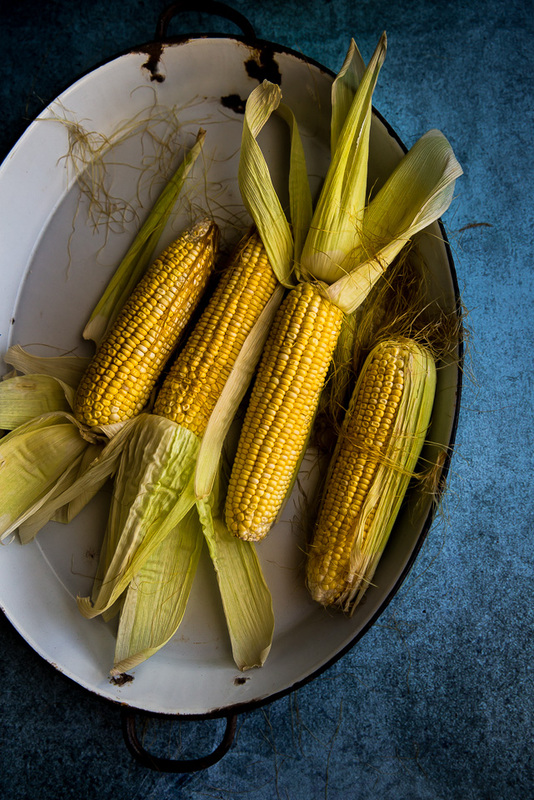 Add the grated corn and roast it on a low flame until fragrant. Add the milk. Stir well and let this mixture cook for 1-1.5 hours until it is thick. It further thickens as it sits so don't overcook it. For the coulis, mix the sugar and raspberries and let it stand for half an hour. Break the raspberries with the back of the spoon. You could strain it but we like our seeds. 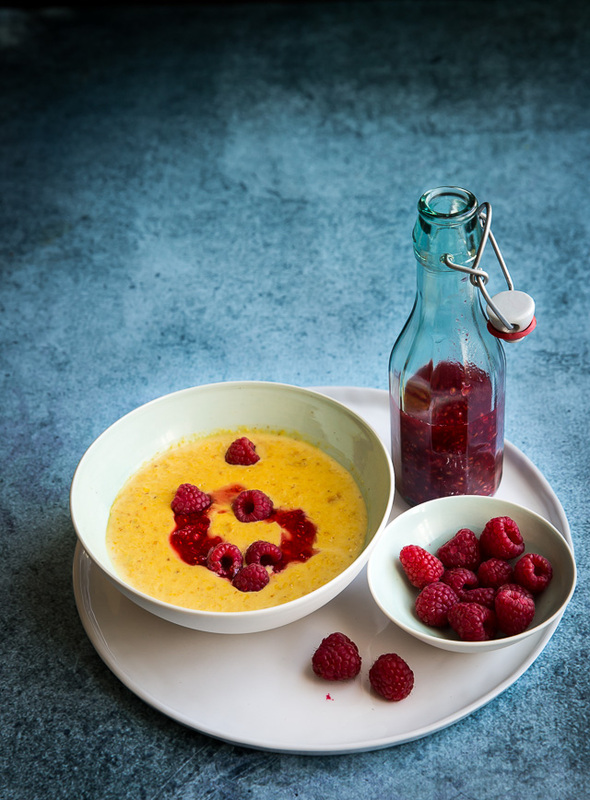 Serve the halwa - warm or cold topped with a spoon of raspberry coulis and some fresh raspberries. That looks incredible! 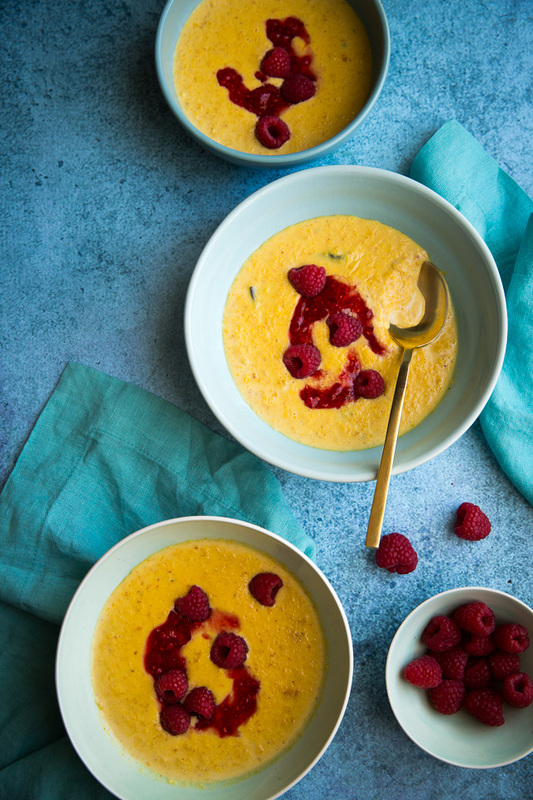 I love the fresh corn flavor with raspberries, I imagine it is divine. Something very new to me. 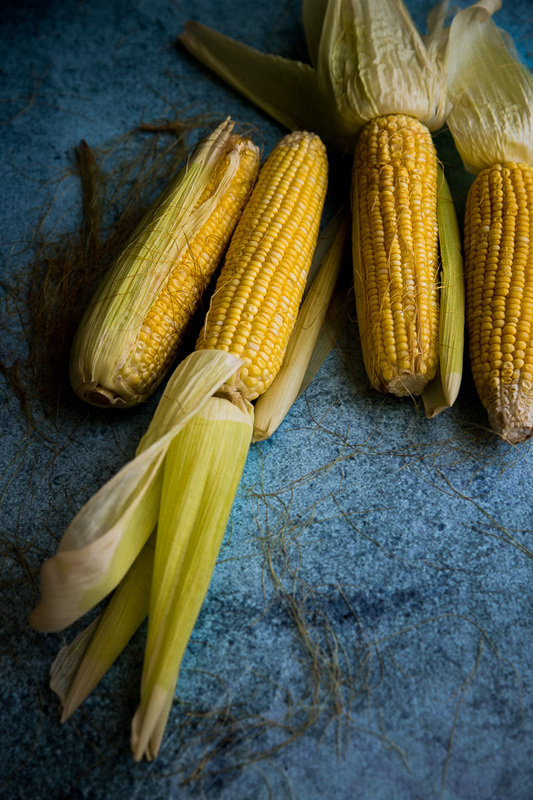 Sounds perfect thing to make with sweet corn season here! Fabulous shots and delightful pudding! This is a great combination. Very original. What's the final consistency supposed to be? Can you confirm 2L of milk? My batch coats the back of a spoon but shows no hint of thickening. The house smelled delightful while it cooked. Janet - Just a little longer and it will thicken I promise! The consistency when hot should be like yogurt but when it is chilled it sets almost like a thick rice pudding. Hope you enjoy it. Let us know! Kulsum- I used a bigger pot and simmered more aggressively. The final amount was about 1/4 of the original liquid. It's lovely! Thank you for sharing the recipe. Will try this recipe soon, never had corn halwa before. Lovely idea! I have to try. Btw LOVE the blue speckled background! what is it? metal? Hi Asha! It is a wallpaper! I got it locally but I'm sure it must be out there on internet! I've never had anything like these, but it looks so amazing! I love how relatively simple it all sounds, too... That's usually what's scared me off most Indian dishes in the past. this pudding looks SO delicious.. i love the colours! definitely will be creating this recipe, i never have tried anything like it before. I would love to know how it goes! Who would have thought one can make halwa with corn. What a lovely dish Kulsum. I couldn't recommend it really but then I have never tried it with frozen corn so who knows!